Eldora's ski lines on the approach to the ski area. Home to the most blue runs of any resort near Boulder. Also popular for Nordic skiing and snowshoeing. 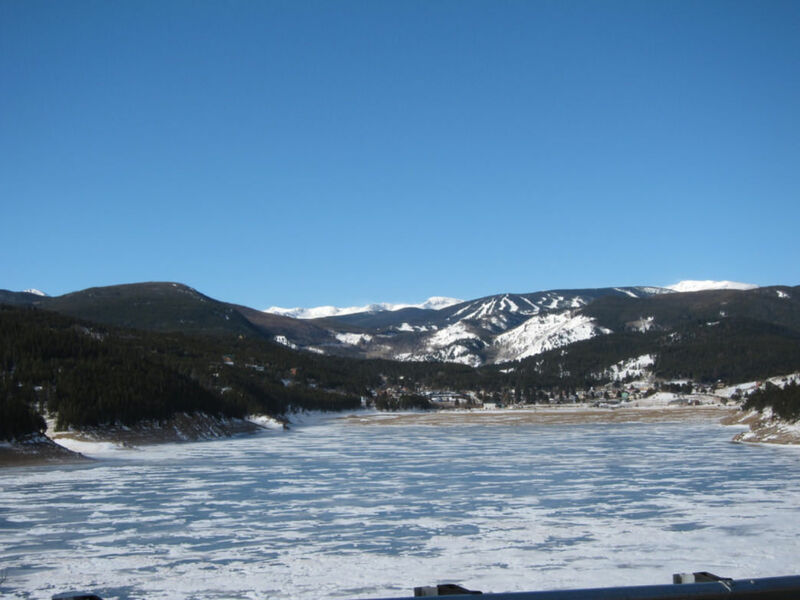 Eldora’s location near the mountain town of Nederland means that Denver and Boulder skiers can access it without battling the traffic on I-70—a huge plus on powder days! As a smaller operation, Eldora is very family-friendly, with plenty of programs for kids and beginners but there’s also a nice mix of blue and black terrain for advanced skiers. Lift lines tend to be short as the mountain spreads out nicely from the base area. There are also excellent Nordic skiing and snowshoeing options on groomed trails. Eldora is every bit a locals’ mountain, thankfully minus elitist snobbery. What Eldora lacks in size (680 acres) it makes up for in diversity. The base area lifts (Sundance, Challenge, and Cannonball) services easier terrain along with a modest terrain park and the surprisingly tight black diamond trees of Jolly Jug Glades. Indian Peaks lift is perfect for blue / easy black cruiser laps. And the Corona Lift access the Corona Bowl, where some brief but legit double black lines run down steep, forested terrain. Catch the Corona lift on a powder day and you may be surprised to see the hours pass in the blink of an eye. The family friendly element is quickly apparent, especially on weekends. There are a host of programs for kids of all ages to get them dialed in to a lifelong love of skiing and snowboarding. Not to be overlooked are Eldora’s wonderful Nordic trails, groomed for cross country skiing and snowshoeing. These trails follow Jenny Creek through pine glades and open meadows. Exploring this network as afternoon winter shadows fall is a photographer’s dream, with deep orange sunbeams casting elegant shadows onto blankets of powdery snow. Food is available at the base and at the lofty Lookout dining area at the top of Corona lift. Views west to the Indian Peaks are spectacular from the here. Families love the easy access to kid-friendly terrain and skiers of all levels enjoy avoiding I-70 on busy winter weekends. 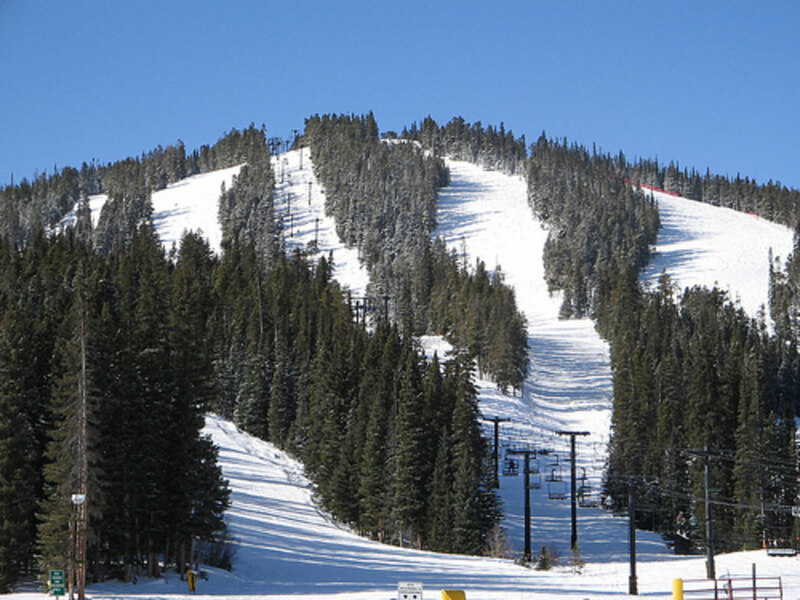 Eldora actually has some challenging black diamond runs on the north side of the mountain, including steep trees and tough natural bumps. Runs aren't terribly long but the lack of lift lines mean you can get in many laps if you have the legs for it. From Boulder, take Canyon Blvd. West (Canyon Blvd. is Hwy 119). Follow 119 to Nederland. Turn left at the Roundabout. Continue South on 119 for one mile. Turn right on 130 and follow the signs to Eldora.